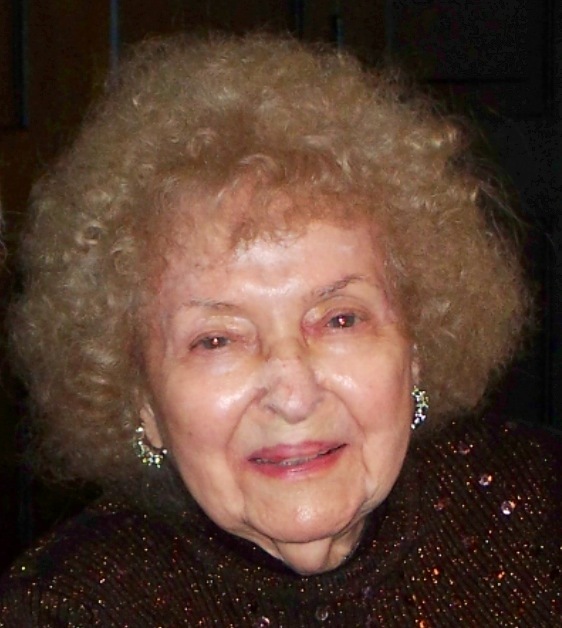 Mary Lazarone Lampson, 94, of Pearland, Texas, formerly of Tiki Island and Houston, passed away January 22, 2014. 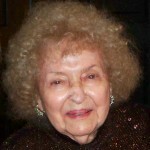 She was born September 12, 1919 in Mumford, Texas to Milton and Rosa Lazarone. In 1947, she married the love of her life, Samuel John Lampson and they were married for 61 years when he passed away in 2009. Mary is preceded in death by her parents; husband, Samuel John Lampson; brothers and sister, Joseph M. Lazarone, Charlie M. Lazarone, Catherine Catalina, Anthony M. Lazarone and Frank M. Lazarone. Mary is survived by her sons, John Samuel Lampson and his wife Gigi of Pearland, Milton Samuel Lampson and his wife Valerie of Pearland, Samuel John Lampson Jr. and his wife Lauri of Taylor Lake Village; sister-in-law, Rose Lazarone; grandchildren, Daniel M. Lampson, Samantha M. Lampson, Jonathan S. Lampson, Emma M. Lampson, Natalie M. Lampson, Samuel E. Lampson, and Oliver L. Lampson. Visitation will be Sunday January 26, 2014 from 5:00 p.m. – 8:00 p.m. with a Rosary at 7:00 p.m. at Crowder Funeral Home, 2422 Broadway, Pearland, Texas 77581. Funeral Services will be held Monday, January 27, 2014 at 11:00 a.m. at St. Helen Catholic Church, 2209 Old Alvin Rd, Pearland, TX 77581, with Rev. Carl James Courville – “Father Jim” and Msgr. Reginald R. Nesvadba – “Fr. Reggie” officiating. Graveside Services will follow at Forest Park Lawndale Cemetery in Houston, Texas. Pallbearers will be Daniel Milton Lampson, Jonathan Samuel Lampson, Frank Lampson, A.J. Foster, Alfred Boehm, and Jay Richardson. The family would like to offer a special thank you to the staff of Tuscany Village for the excellent care and comfort that they provided to our mother.